Launched in 1996-8, the Inmarsat-3s were built by Lockheed Martin Astro Space (now Lockheed Martin Missiles & Space) of the USA, responsible for the basic spacecraft, and the European Matra Marconi Space (now Astrium), which developed the communications payload. The Inmarsat I-3 communications payload can generate a global beam and a maximum of seven spotbeams. The spotbeams are directed as required to make extra communications capacity available in areas where demand from users is high. 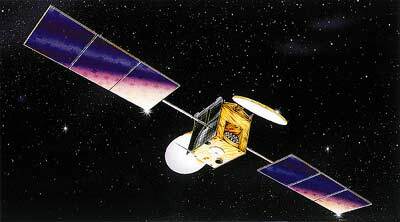 Inmarsat I-3 F1 was launched in 1996 to cover the Indian Ocean Region. Over the next two years F2 entered service over Atlantic Ocean Region-East, followed by F3 (Pacific Ocean Region), F4 (Atlantic Ocean Region-West) and F5 (limited services on a single spot beam, back-up and leased capacity). Inmarsat I-3 F2 was launched without apogee kick motor, as the Proton-K Blok-DM1 launch vehicle was capable of direct GSO injection. Inmarsat-3 F4 was retired in 2016 and was moved into a graveyard orbit above the geostationary belt.